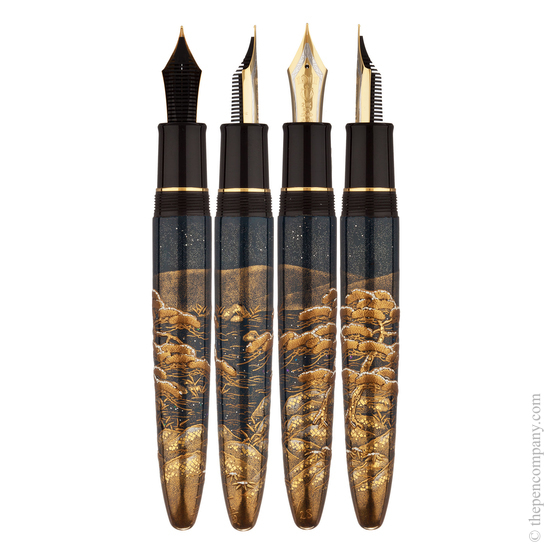 Based on the Sailor 'King of Pens' oversize pen, renown maki-e artist Ikki Moroike has created four fabulous designs inspired by the seasons. 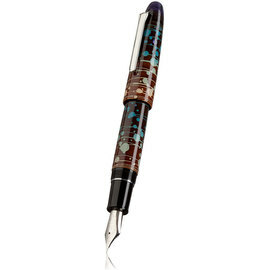 He has combined landscapes and skyscapes at night to produce this magical collection of limited edition pens. 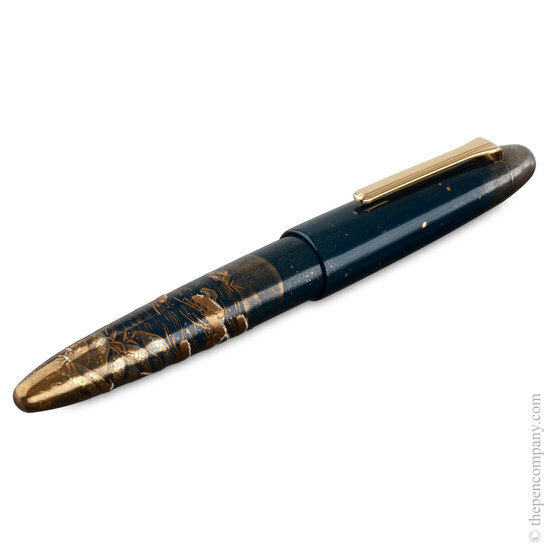 The maki-e process is detailed and time consuming and requires years of learning and practise to reach the standard evident in these pens. Such quality is reserved for only the finest objects and the Sailor King of Pens is a masterpiece in it's own right. 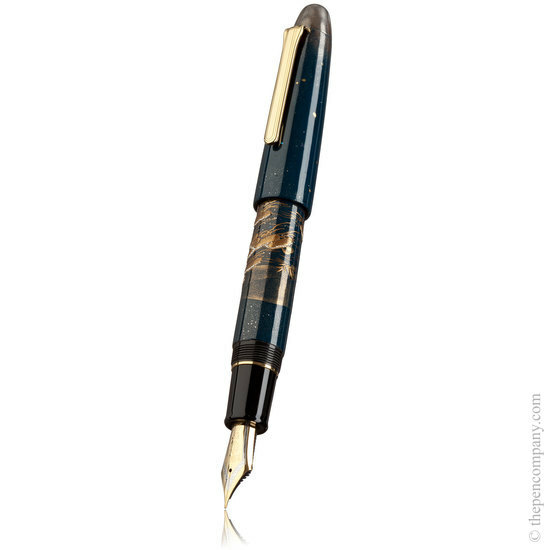 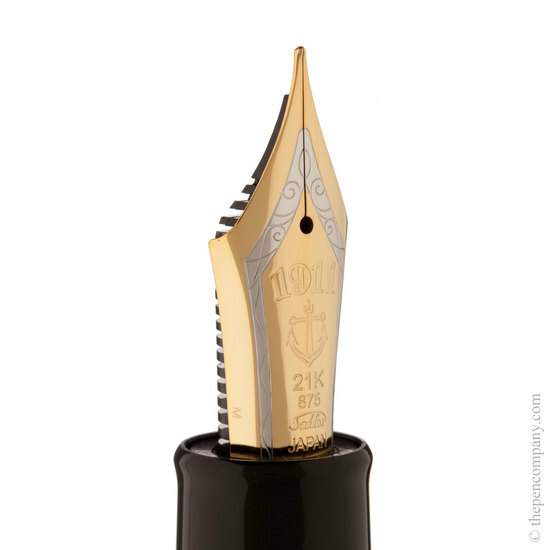 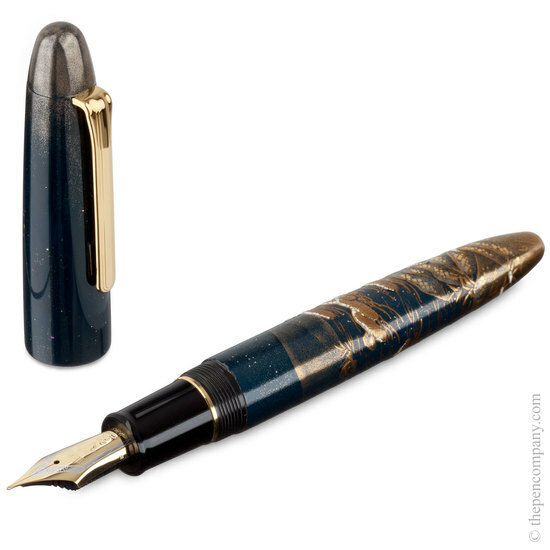 The oversisize barrel and cap are hand-crafted from ebonite, a natural product traditionally used for pens and these are complemented by an impressive oversize 21K gold nib which is 24K gold plated, hand made by Sailor's Master Craftsmen.